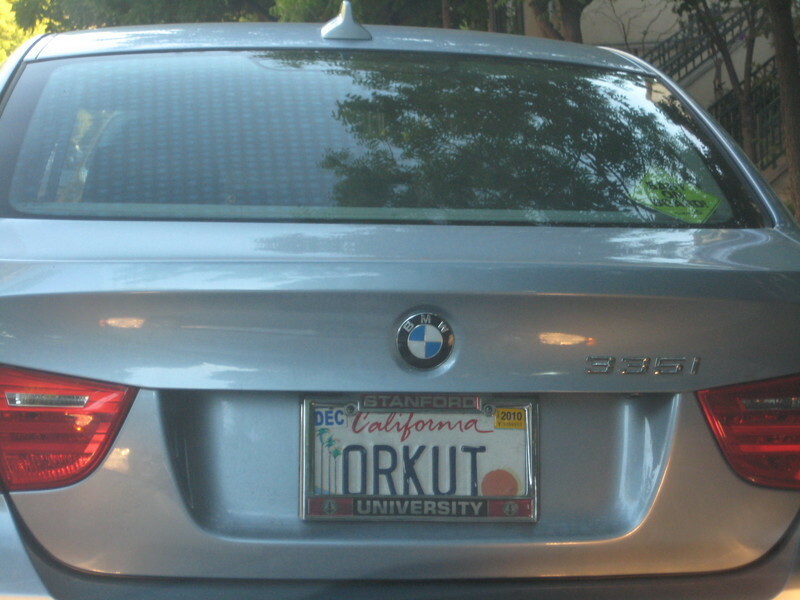 Look who I parked behind in downtown Mountain View today. The license plate says it all. See: orkut. Days like this make me proud to be American. What an action-packed and exciting day at the Vancouver 2010 Olympics! This is just one reason I love my coworkers. Micah: Hey Stephanie--what do you think about a trip to the curry truck tomorrow? Stephanie: oh dear, I have a lunch tomorrow! With my brother, a discussion about hail turns apocalyptic. me: it's hailing! in SF! me: no way. you are nuts. Wtf are these things I saw at Target? No, seriously, what are they? We already established that some pretty comical things can be found at Target. But I saw these on the seasonal shelf and had to snap a picture because they are so bizarre. 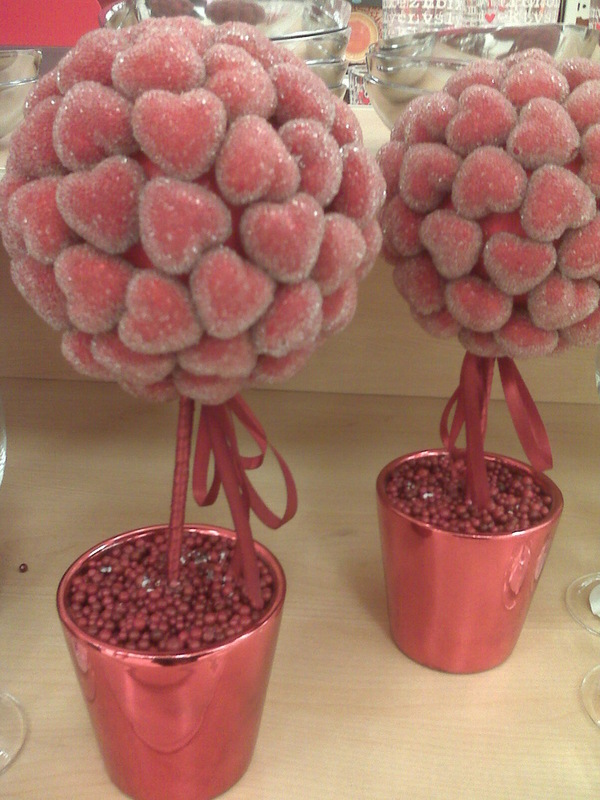 I can only assume they are Valentine's Day related decorative crap, but like - are they plants? Lollipops? They come in small pots, look sort of like rosebushes covered in fake gummy heart-shaped candy. The weirdest part was the clear-ish frost covering the hearts that made them look like something you find out in the deep-sea ocean. What will they think of next? Dear coworker: please don't use antiquated American idioms like "soup to nuts" in a meeting. ...and a second-generation ABC like me. Seriously dude. Just say "end-to-end." 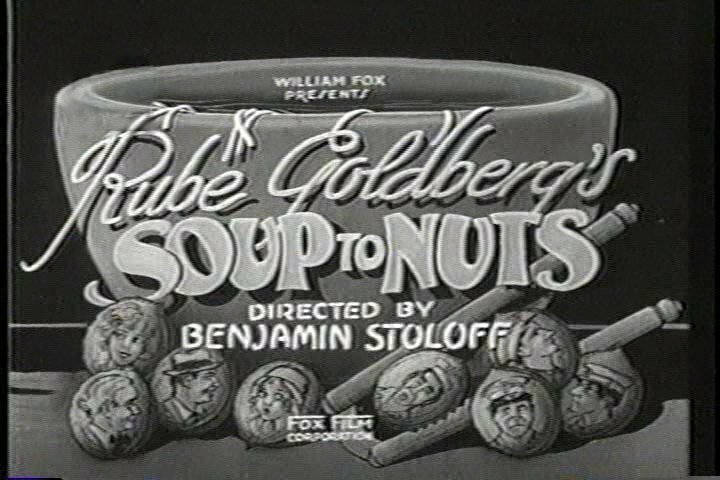 FYI, the phrase "soup to nuts" is fully explained on Wikipedia. I don't think I'd ever heard the phrase explained before and I'm really glad I asked. Random thought for a Monday afternoon: What do cheer captains think of Taylor Swift? But I have a hard time believing that Taylor Swift was ever the awkward kind of girl sitting on the bleachers in a band uniform and headgear. Everything about her reads "blonde bombshell," so maybe the cheer captains can identify with her after all. Oh, to be this happy. 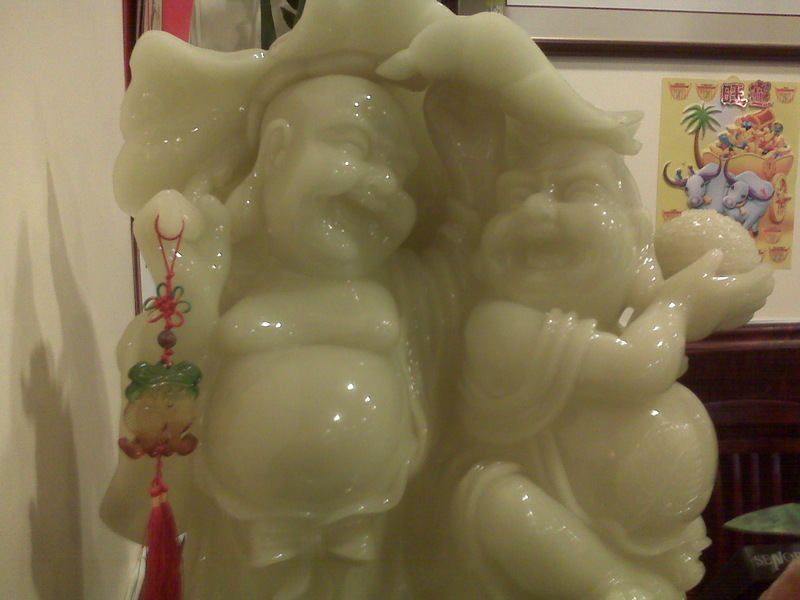 Passing these buddhas on the way out from Joy Chinese Restaurant. They look positively bursting with joy. "Today, was 9.9.09. September has 9 letters. Wednesday has 9 letters. It's the 252nd day of the year, which adds up to equal 9. However, today was an average day. MLIA." 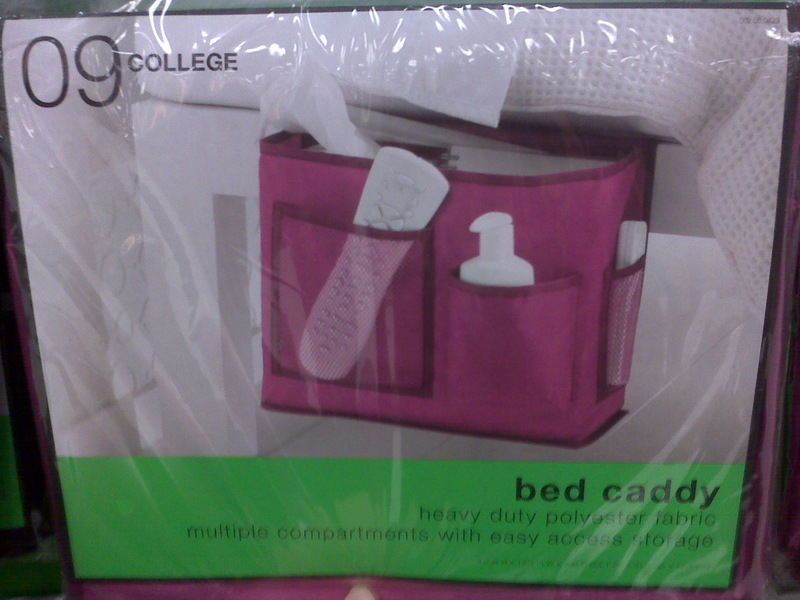 Bedside caddy, or kit for lonely college students? We were wandering through Target when I stopped at the section for college students and asked Garry, "what would I need a bedside caddy for?" - tissues for cleaning up afterwards, natch! Thanks Target, for showing kindness to lonely college students everywhere.